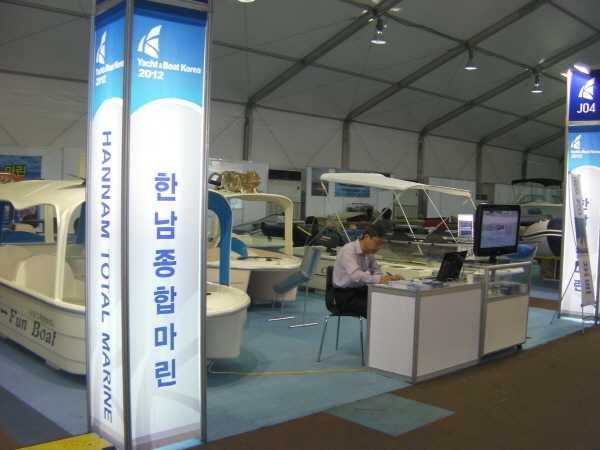 we displayed "functional leisure boat"
and people who concerned of leisure industry. 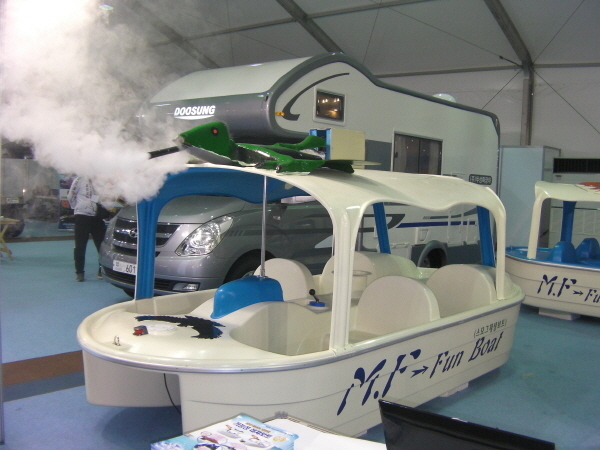 There is a water gun attached at the front of the boat. It goes about 5m long. This makes you can fully enjoying your time with family. 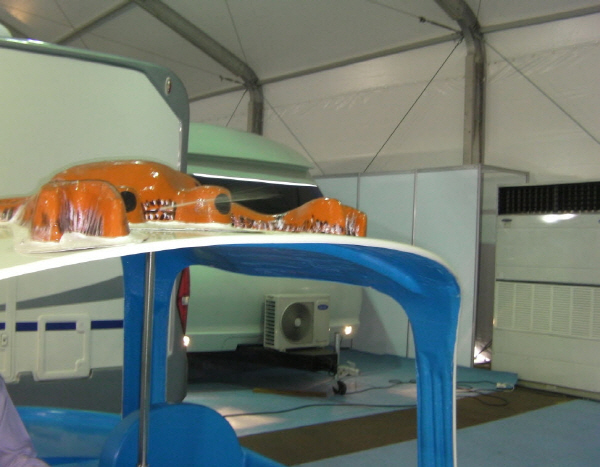 the boat which can belch out vapor. and it also makes boat more entertaining. which offers various sound such as animal, nature and ect. 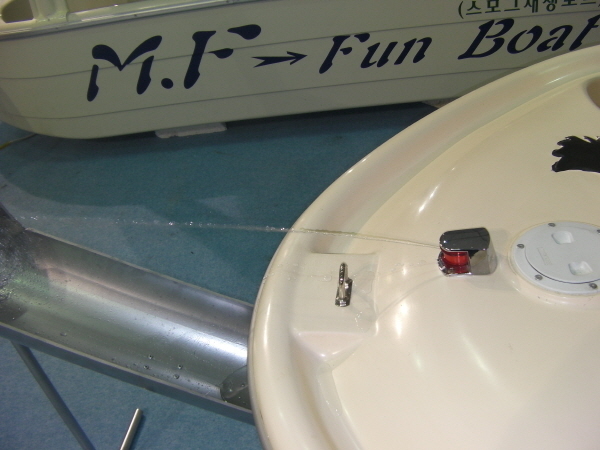 hearing and entertaining, to "Functional Leisure Boat". You can have fun in the water with your friends and family.